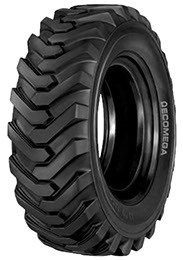 Thanks to many years of thorough research, Ecomega’s experts have designed a new set of tyres for motor graders. Ecomega Grader G2 tyres are the best choice on the international construction tyre market if you are looking for a stable set of tyres, anytime and anywhere. The use of the most advanced technologies have allowed Ecomega to create a set of high quality tyres that would meet different needs of numerous types of motor graders worldwide. If you would like to improve the productivity of your construction vehicles, then Ecomega Grader G2 tyres are your best choice, thanks to their exceptional performance over time. Ecomega Grader G2 tyres feature everything you have always wanted to see in your set of tyres for motor graders.